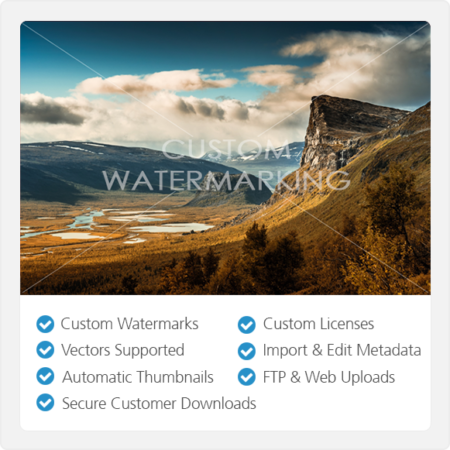 Adds video upload, watermarking, and sales capabilities to Symbiostock Pro. Supports most media types. 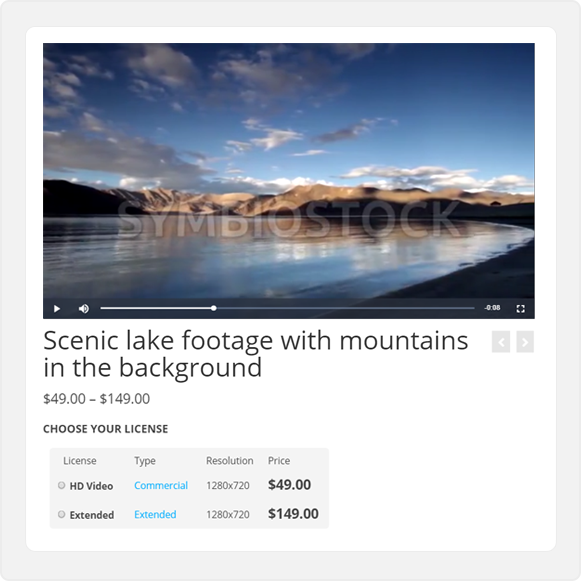 Add video functionality to your Symbiostock store. 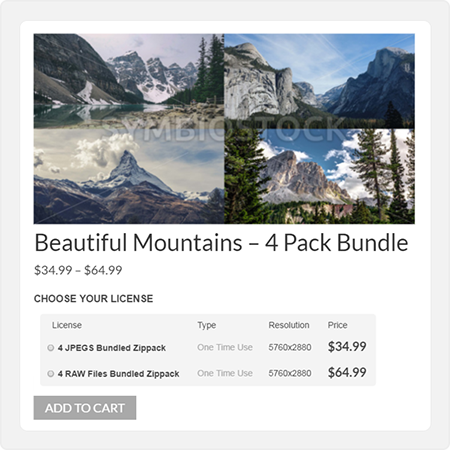 Once installed, you can upload a myriad of different video types that will all get processed and added to your Symbiostock store exactly as images do. Requires that your server be able to execute shell commands from within PHP – please confirm with your host if you are not sure prior to purchasing Symbiostock Video. Plug-and-play – integrates seamlessly with WooCommerce without special coding. 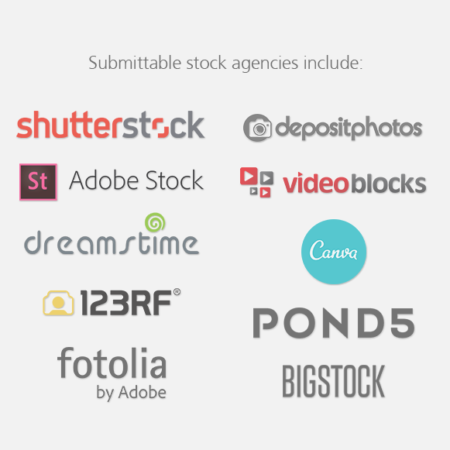 Symbiostock Video is a high intensity plugin that requires plenty of memory and CPU usage. We do not support the plugin in shared hosting environments. 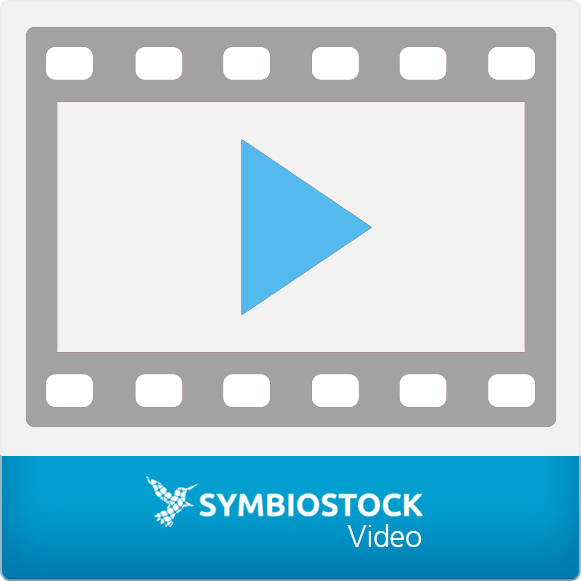 Note: The best way to test if your install will support Symbiostock Video is to download the free Symbiostock Video Diagnostic. 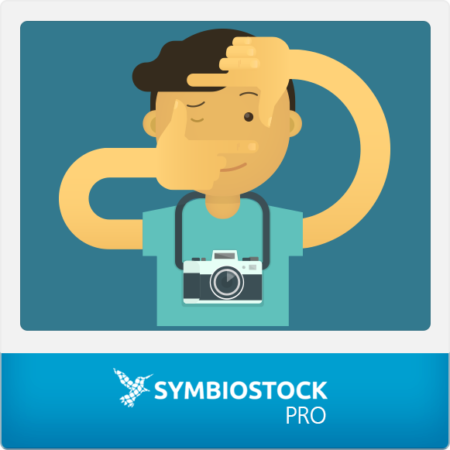 If you purchase Symbiostock Video prior to testing your system with the diagnostic tool, and your system does not support the video plugin, we will be unable to assist you with troubleshooting. Note: As this is a large plugin, installation via the WP web interface may not work consistently. 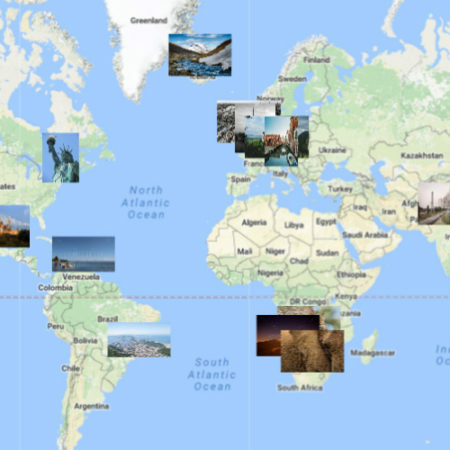 In this case, simply unzip the plugin, preserving the directory structure, and upload to your wp-content/plugins directory. Note: With your purchase, you will be provided a unique license that serves to authenticate, activate and keep your plugin updated. Please do not share the plugin with any third parties as this will automatically invalidate your license key.